It’s been years since we’ve seen shades of turquoise make a fashionable comeback. From blue shades to greener hues, turquoise reminds me of the poolside, beach, Mediterranean sea, Southwest jewellery, and Tiffany’s. There’s a shade of turquoise for everyone, so take your pick. Many of my clients like to wear turquoise in the Spring and Summer with white, lilac, dark blue and emerald green. Some prefer to wear turquoise away from their face through items like handbags, shoes, rings, bracelets, or toenail polish. Turquoise is one of my favourite colours, so I’m thrilled to see it back at retail. I’ll wear turquoise in all wardrobe items except jewellery, since I stick to solid gold and white pearls. When I wear turquoise in an outfit, I like to combine it with white, tomato red, shocking pink, watermelon, citron, navy and lime green. I prefer turquoise as a solid, but won’t say no to a pattern. At the moment, I have ONE turquoise item in my wardrobe, and it’s a four year old Furla. That’s shocking for someone who loves to wear non-neutrals and turquoise. So I’ve been on the hunt to add turquoise to my wardrobe for a while. At first, I thought I wanted a turquoise top, dress, skirt, jacket, coat, or pair of pants. I’m open to adding some of those items to my wardrobe eventually, but for the moment I’m getting my turquoise fix with a wig. It’s my wildcard purchase of the year, and an unexpected wardrobe workhorse. Rainbow hair is extremely popular in Seattle, and I’ve been toying with the idea for a while. It’s trendy, different, dramatic, and another way I can incorporate happy colours into my style. This way I don’t need to commit to permanent turquoise hair, and to the time and expense of maintaining it. Since my short blonde hair grows slowly, it’s handy to have instant-long hair with vivid colour when the mood strikes me to switch things up. 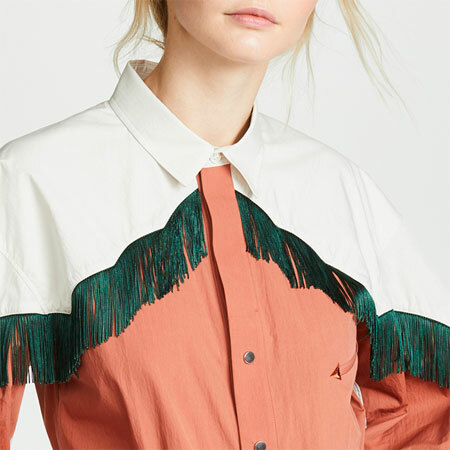 This styling technique works well when you’re an impatient mood dresser like I am. Coincidentally, my new wig complements my old Furla. Bonus. Sam’s wearing a turquoise wig too. He needs a stylish disguise when he’s being a regular dude and not a superhero. Cascading blue locks that match his collars were the way to go. 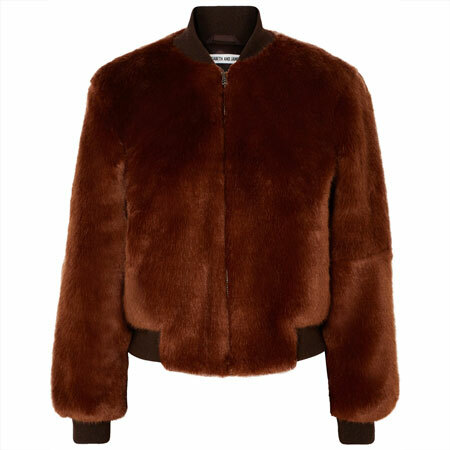 Playful, fabulous with earth tones, and alluring. The ladies are smitten, and playdates are aplenty. The power of statement hair is not to be underestimated. 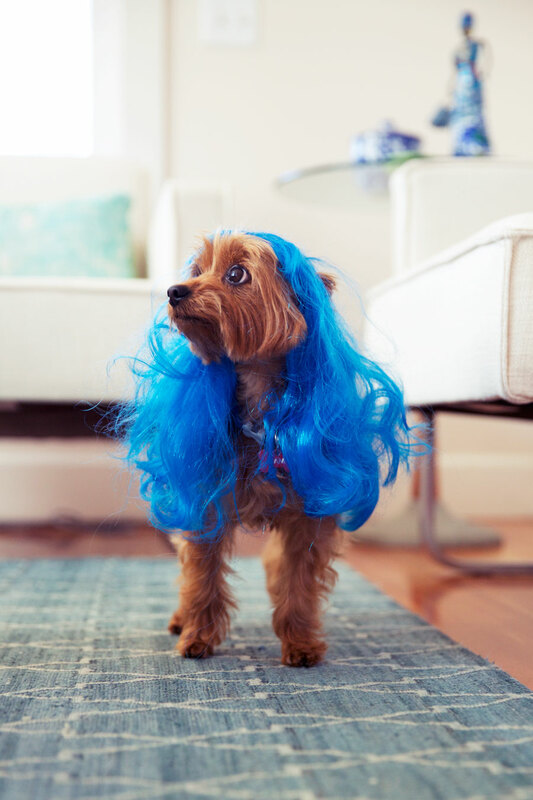 Our new blue wigs work well in our homes in Seattle and Salt Lake City because the decors are rich with turquoise accents. I never thought it was important for my style to coordinate with our home decor, but this level of matchy-matchy makes for a richer life, which is trendsetting in itself. Could food be the final colour coordination frontier? I’m thinking a cup of turquoise tea, with a nice piece of turquoise cake, because, why not! Turquoise is one of my absolute favourites and I was drooling over the finds…until I saw the rest. Sam steals the show I laughed out loud and scared a pigeon at my window! Super Sam was joining you in this Tiffany inspired Trend. Happy to say I am smitten and not disappointed! The turquoise wig is so you Angie! And Sam looks adorable in his cascading blue locks. I think I might join you in wearing turquoise hair then we can be twins. LOL! Happy April Fools Day! sorry….once again Sam has upstaged you! turquoise becomes him…. You and Sam literally look good in EVERYTHING you wear!! "I never thought it was important for my style to coordinate with our home decor, but this level of matchy-matchy makes for a richer life, which is trend-setting in itself." Also: Sam is rocking those waves!! "The ladies are smitten, and playdates are aplenty. The power of statement hair is not to be underestimated." Hah! “An unexpected wardrobe workhorse”–indeed! Great match with the Furla. This is brilliant – I completely fell for this (because I love turquoise and am so happy to see its return) until the photo with your hair. I have to agree with Inge, that both you and Sam can wear anything! Once again, you had me at the beginning, I couldn’t wait to see your turquoise outfit … brilliant lol!!!! 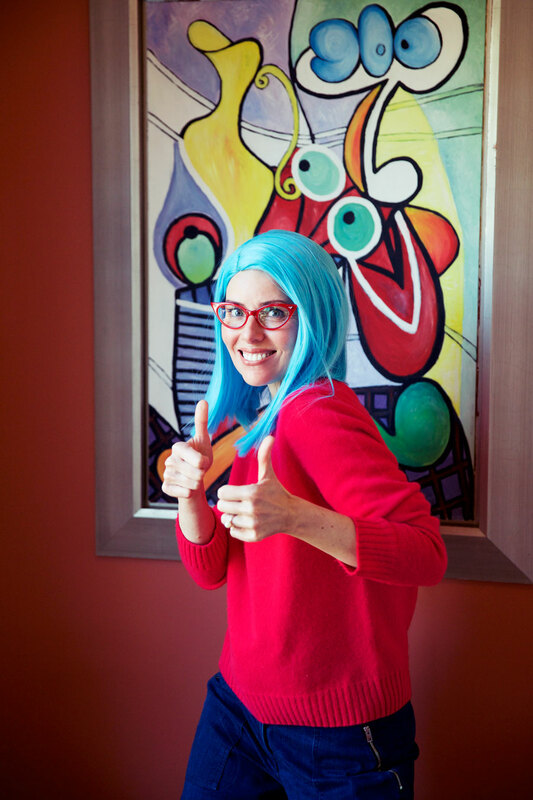 Sam takes the cake, but Angie, you really can pull off a turquoise wig Happy April to all! He he, turquoise wigs. Sam looks like a rockstar in his. On a more serious side, I hope you find some turquoise. I have a couple of older pieces (a pea coat, a silk blouse and a cashmere sweater), as well a some silk scarves, but would love a few more, like a dress and a thinner knit – my developed holes and had to be retired. *laughter* This is perfect. You were so earnest and style-savvy and Angie-like. All I could think about was all the turquoise I wore in the mid-nineties, mostly in the form of long tees and leggings. I even believed that you*might* try a colourful wig. (Actually, my first thought was that a wig would help keep your head warm in cold SLC winters.) So, yes, excellently done! Love your new do, Angie! What I hope isn’t a joke, is turqouise making a come-back! It used to be one of my favourite colours last time it was around, maybe 15 yrs ago. Sam looks absolutely delighted with his new wig, and I can’t believe it’s taken this long for you to incorporate your home decor into your hairstyle. It’s a slam dunk! You got me again! I was all prepared. I knew it was going to be April 1 today. And then I saw the post and started reading, and thought ‘Oh! Angie has skipped an April Fools post this year!’ Lololol!!! But then you appeared in that wig. And THEN you upped the game with SAM IN A WIG. Lolol. Y’all are good! LOL! Happy April 1, Angie! Happy April 1st. Turquoise is a joyful color and you wear it well, as does Sam. Well played. Well done! You and Sam are turquoise superstars! Happy April 1st Angie and Sam! 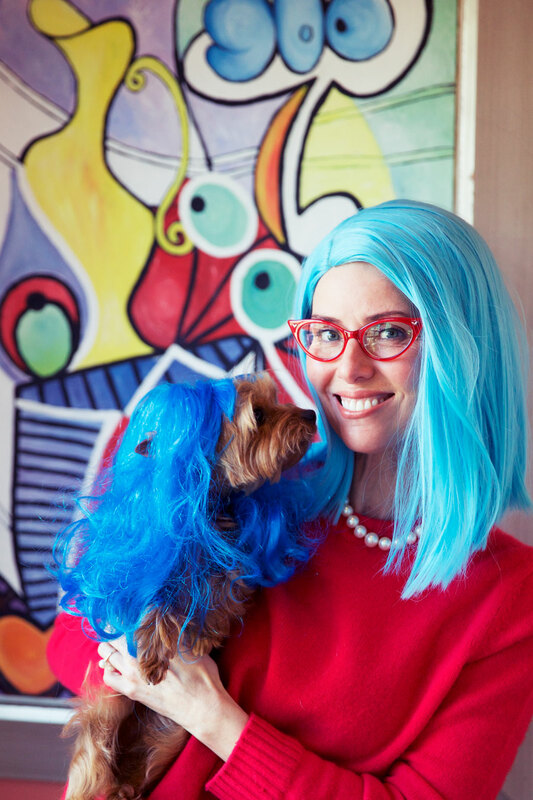 You both know how to rock turquoise wigs! So much thought and care has been put into making YLF today especially so fun! Thank you! As I was reading I kept thinking that this should be an April Fool’s post – and it didn’t seem to be. Then….“gotcha”! Sam is such a star! I can’t believe you got him to pose so nicely with those tresses! LOL — you are so sneaky, starting with all those gorgeous turquoise items, and then… the surprise! Sam looks especially fetching in his rainbow hair. And I don’t know how you do it, but you look gorgeous no matter what you put on, so rock on with that turquoise hair! But in seriousness, now you have me even more wanting some turquoise in my wardrobe, and I can’t find anything at retail yet! 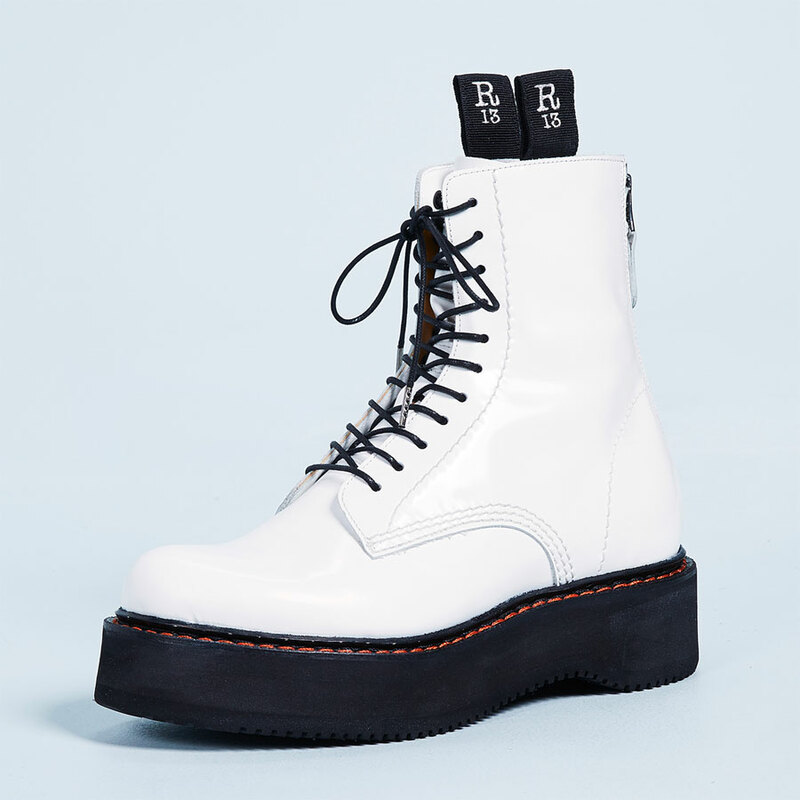 (your picks are gorgeous but not right for my lifestyle or climate) Maybe in months to come?? Haha! Sam is such a good sport. You had me going until I got to the first photo! I love turquoise as well Hilarious, Angie. 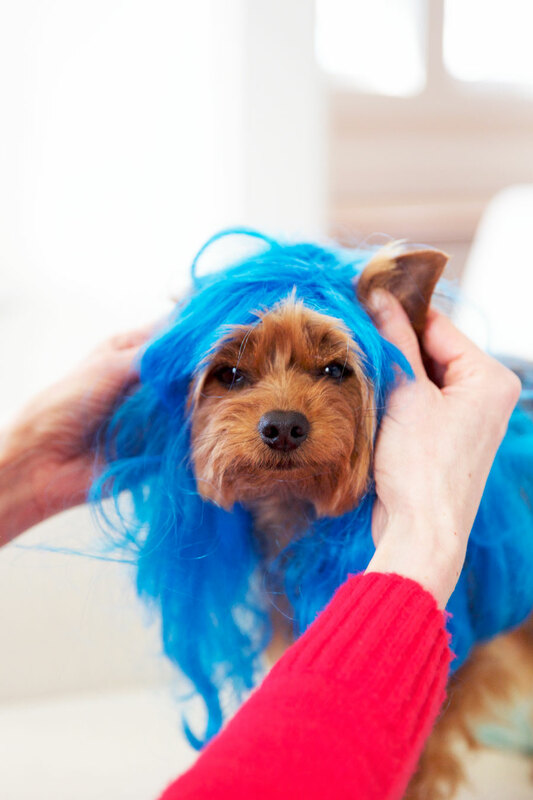 You even look fab with blue locks! Happy April Fools! You and Sam! Just what I needed to start my day and month. You two are the cutest ever. What a rollercoaster! As soon as I checked my calendar and realized today was the first, I logged in to YLF to see what you’d done this year. I was confused and a little sad that you had put up a normal post. But then I made it down to the wig! Perfect. Angie and Sam- a fun April fools prank! Love it! I think it’s a slightly bigger shock to see you with long hair than with turquoise hair! Sam seems to be digging the theme. Funny. It’s so important to match your decor! I enjoyed you in the wig, but Sam in the wig. Game over. Whoa, at first glance I thought you were doing a serious post today, and I was momentarily disappointed. I take the color turquoise very seriously it seems! Nicely done! Emails today from Boden and REI were fun too. You got me this year Angie! All smiles this morning… first delighted to see this fun color in abundance, and then to scroll down and see the new ‘dos… hilarious! Brilliant! Best April Fool’s joke EVER!!! That wig makes you look about 20 years old And how lucky you are to have a doggie that not only tolerates but seems to enjoy wearing costumes. 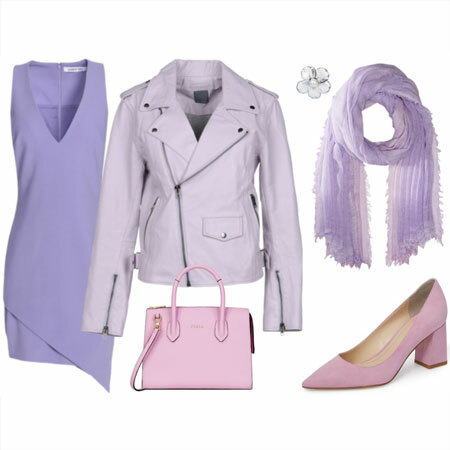 Not a color I wear much but it sure feels “springy” and is just perfect for you. Again, JUST BRILLIANT!!!!! Ha ha. I can see though that you will look good in turquoise. The only turquoise I have now is a necklace that I like to wear with olive. Sam doesnt look quite as thrilled with his wig as you do with yours! Sam doesn’t seem impressed with his wig. I think his expression in his third picture is, “mommy, please help!”. Ha ha, jolly good! Great way to start the day, with my favorite blog writer and her companion rocking one of my favorite all-time colors! Same as Cobalt & some others for me–came expecting an April Fools read, was disappointed–until I got to the wig, especially by the 2nd and 3rd pose. But the crazy thing is, you *do* look good, just not in a very “Angie” way. This is the best one yet! I love that you got Sam his own tourquoise wig, and with waves, so it looks natural!!! Fabulous, Angie! I have to say, I know it is a joke, but you look FAB in that wig! Fantastic colour for you, clearly. And definitely a switch up in the style. HAhaha I was chortling along and then I saw Sam and I burst out laughing!! The first picture of Sam is absolutely over-the-top adorable. I’d have it framed! But of course, he is naturally incredibly photogenic, just like his mom. You two look great in your coordinating blues! So cute. 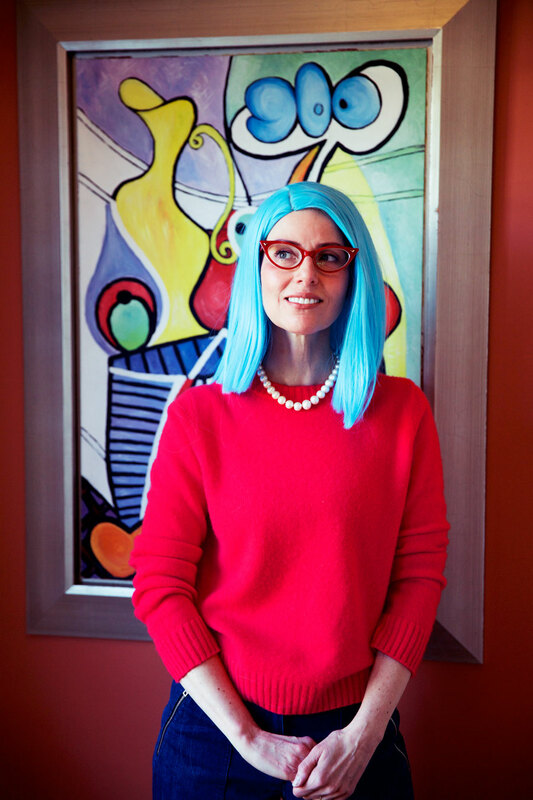 I like wearing turquoise with dark pinks – so now I just have to decide whether I should get and turquoise or pink wig. Haha Suz he totally looks like a Spaniel! Haha! The first thing I thought when I got up this morning was “I wonder what Angie is up to today?” You and Sam look FAB!! 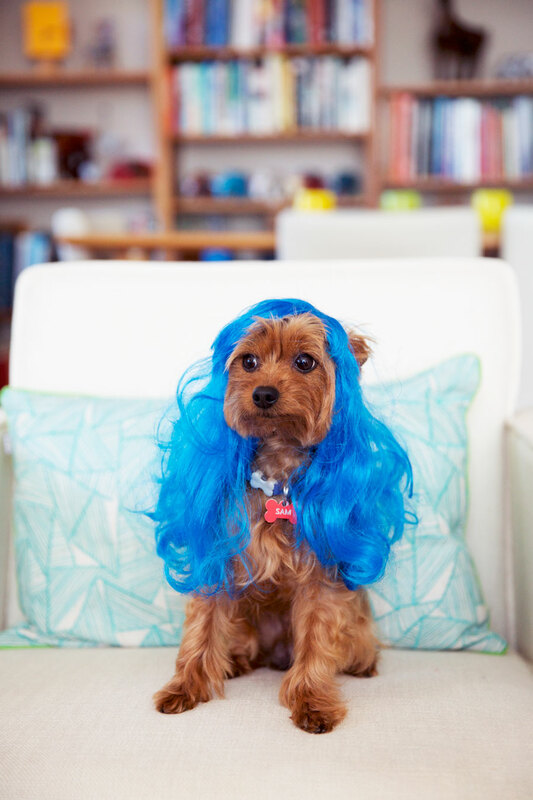 Only you can rock a turquoise wig like no one else . I’ve always been surprised by these, having forgotten the day and this is the first year that I actually anticipated your prank post. The heading and beginning was so normal I thought maybe you forgot in the chaos of moving. Thinking this is your finest yet, and of course you both look adorable. I read this first thing in the morning before I realized the date. Your style analysis pulled me right in. Brilliantly done, Angie! Brilliant and sneaky! Well done, Angie, Sam, and cameraman Greg! I will now no doubt be obsessed with all things turquoise this week. Good one – you almost had me before I looked at the pic and started wondering what the heck? You got me Angie! haha! You and Sam both look good in turquoise! Haha! Good one, Angie! This brings to mind some of your earlier April Fools posts. I say you totally sport this look with *sass* and *class* ! Brilliant!! I want an enriched life with my hair matching my decor. I do want turquoise though!! You still have the plum wig from the older April Fools post? Ha! So fun for April Fool’s! So much fun! You need the turquoise $70 slides from the Finds to bookend your blue tresses. Sam is a good sport and sooooo cute. Mags wants a play date. Excellent. I too was disappointed that it was a serious post…at first. I thought yep, she likes turquoise but where is our April Fools? Then yay! All day while out and about, I was wondering what I would find on the blog today. The ones I most remember from years past: Crocs and rear cleavage. You (and Sam) look so alluring with long turquoise hair! 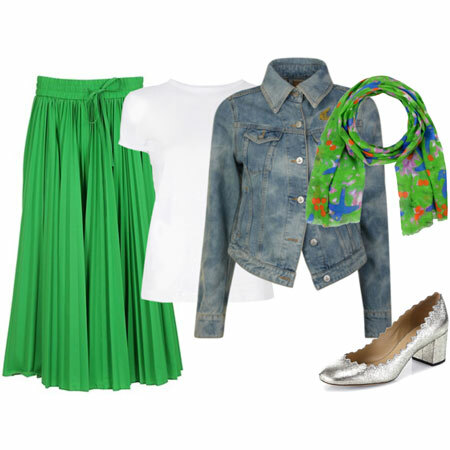 You should definitely flaunt this look, not just on April 1st! And I love the colorful print on the red wall behind you — all those colors just make me feel happy. So funny!! And I love your artwork, too! We’re in the process of looking for color to add to our home, so I’m highly aware of art! But…I don’t know…Sam doesn’t look all that happy in his wig, lol! That said, you know, you could get a real wig, that is a decent on with a believable part and slightly less neon shade of turquoise, and you would look totally smashing. Fantastic April Fool’s post! I started reading, saw all the turquoise Finds, and was a little disappointed, thinking you’d decided not to do your annual post. 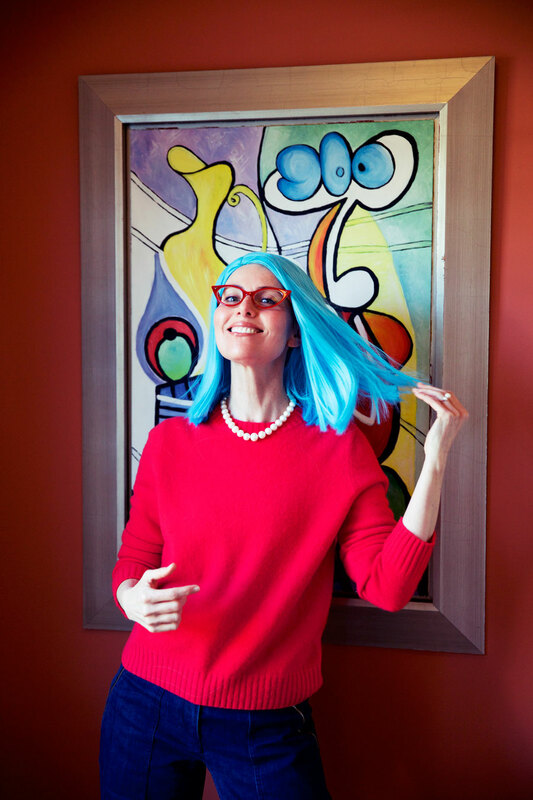 Then I got to your turquoise wig and laughed out loud. Sam looks like he’s just kind of enduring Mom’s latest idea to put him in a turquoise wig. Love it! So cute! Had me hook,line and sinker until the wig! Love turquoise so I hope the other part of the article is true! It’s been a few years since it was really featured and what’s left in my closet it starting to look a little worn! That was a good one Angie! You had me reeled in until I saw Sam. Happy April Fools. You are amazeballs! I’m not sure which makeover makes me happiest — yours, or Sam’s! I do love turquoise — I’d love to wear it this summer with Navy and white! I love upur April Fools posts! Look forward to them every year. Haha! You got me, but…I still think a wig would be fun! I want to try blonde. The wig may be a joke, but it looks great!!! And what a good sport li’l Sammie is. So sweet. Very tricky! So fun! I especially love the bit about coordinating with your home decor. Thanks for the compliments, ladies. Fun post! This is actually probably my favorite, happiest color. I’d gladly wear that wig. I dyed my hair “electric” purple for my older sister’s wedding & ended up wearing the color for about 10 days. The reactions that I got were really enthusiastic. Older women regularly made positive comments, and older men did too. Lots of high fives from strangers on the streets. All babies, without exception, lit up in huge grins when they saw me. And, honestly, what is better than making a baby grin and giggle? I can’t think of anything! I look forward to this post every year and you did not disappoint. You and Sam are beyond adorable and you both definitely rock the turquoise very well.